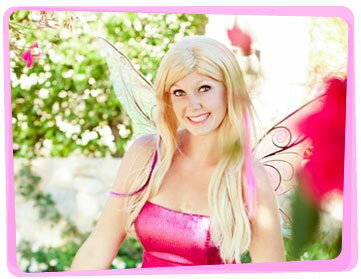 Let the Yabadoo Fairies take you and your guests on flights of fancy for your next event. Pack your bags full of giggles and spells for a beautiful adventure. Whether you wish to hire a fairy for a kids party or some other special event, we have the most entertaining fairies for hire in Brisbane. Our entertainer will fly in to your party in a beautiful costume and the girls and boys will be spellbound by the enchanting magic show and other great party ideas. 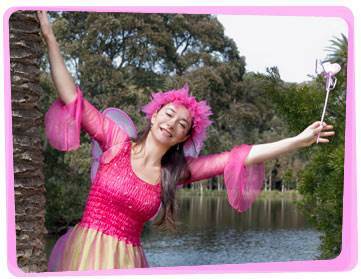 With 18 years of experience under our wings, our kids party fairies in Brisbane perform at children’s themed birthday parties and a feast of other occasions. Their outside work hobbies include knitting rainbow coloured socks for all the forest trolls and tickling all the snoring pixies whilst they sleep. 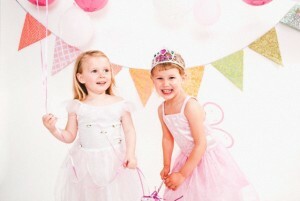 At your Brisbane birthday party, the children are divided into 2 groups by the party entertainer. A fairy wand is provided for each group. Put a pile of balloons a few meters away from the kids. The first fairy holds the wand and runs towards the balloon pile. He/She gets one balloon, pops it with the wand, then runs back to the starting line to tag the next player. The team who finishes first is the winner!